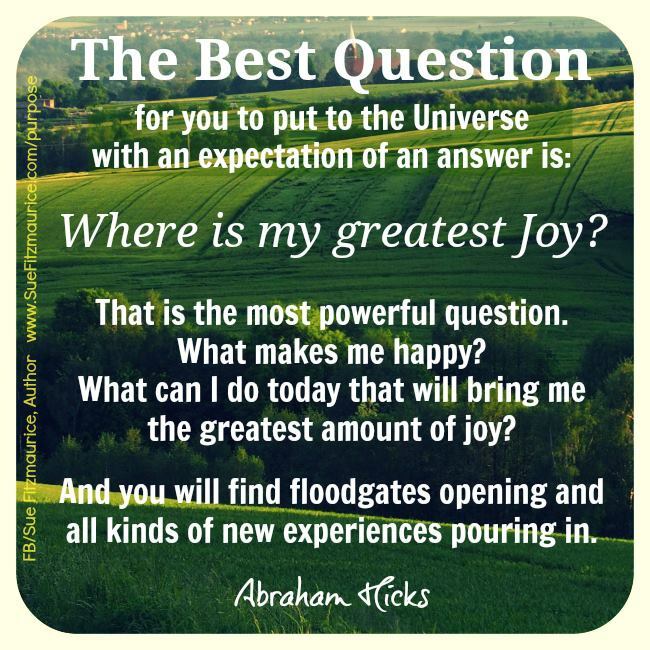 What is your greatest joy? Do you know? Have you asked? What is your greatest joy? Do you actually know? It is assumed that we should know what makes us happy but what brings us pure joy that blasts through all the humdrum barriers and issues that come with so many things? What helps us to transcend the mundane and excel just because we are so content to be doing what we are doing? I think it is worth asking this … just to see what comes back at us. That is the most powerful question. What can I do today that will bring me the greatest amount of joy?